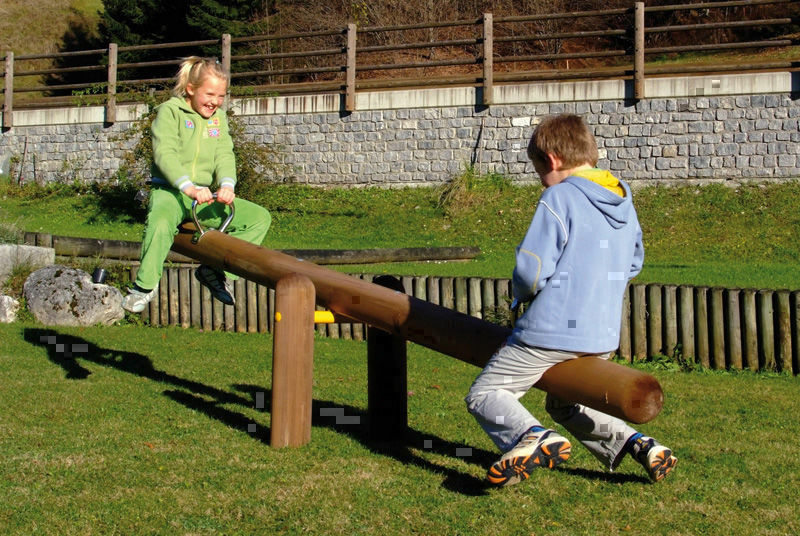 The classic 2 person seesaw, ideal for any playground and kindergarten. 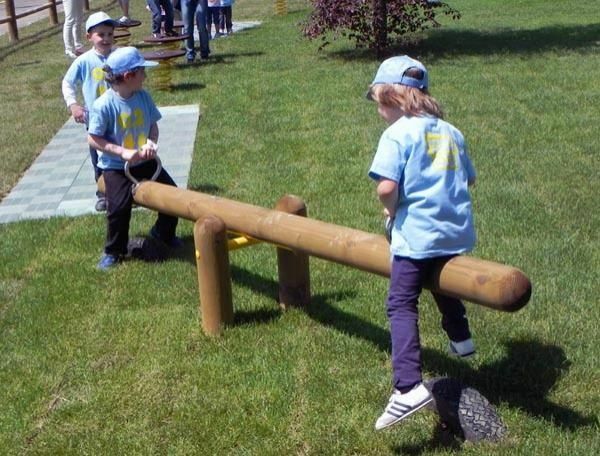 It develops strength, motor coordination and the socialization of children in complete safety. 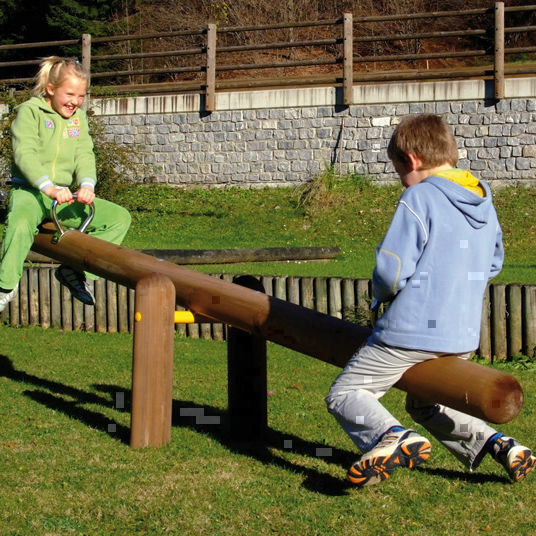 The large oscillating beam with rounded ends is made of ø 13 cm heartfree / lamellar wood, sanded over the entire surface to provide maximum stability, durability and safety. The passing bolts are sunken into the wood and covered by safety caps in polyethylene. 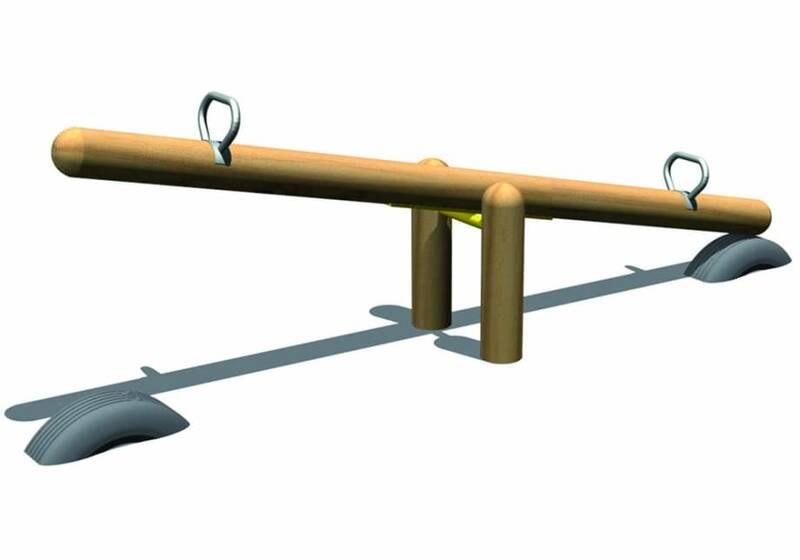 The rotating dowel comes with a big plate which is fixed with passing bolts to the beam and connected to a dowel rotating on auto-lubricating bearings, sunken into the wood for protection. The rocker has 2 handles in stainless steel and 2 rubber tires for shock absorption.